1) An earned doctorate (Ph.D.) in Developmental Psychology or a closely related field from an accredited institution (or equivalent) is required; however, applicants nearing completion of the doctorate (ABD) may be considered. For appointment, the doctorate must be completed by the date of appointment (8/19/2019). 2) Evidence of teaching effectiveness at the undergraduate level. 3) Experience in teaching courses focused on human development. 4) Evidence of research and scholarship, which includes publications in scholarly journals. 1) Evidence of experience mentoring undergraduate and/or graduate students in a research setting. 2) Demonstrated expertise in one of the following areas: infant/child/adolescent development or disorders, ecological and multicultural perspectives on development, or developmental neuroscience. 3) Evidence of experience teaching classes in research methods, introductory statistics, with a focus on human development. The Psychology Department includes 18 tenured /tenure-track faculty representing a range of disciplines. The department serves approximately 1000 undergraduate students majoring in psychology and approximately 50 graduate students in two masters level programs: General Psychology MA and Forensic Psychology MS. Faculty members are equally committed to fostering service that promotes social justice in our local and global communities, and incorporating cultural issues in curriculum, research, and mentoring. a cover letter specifically addressing minimum and preferred qualifications. a narrative statement describing your commitment to working effectively with faculty, staff, and students in a multicultural/multiethnic urban campus environment with a substantial population of first-generation students. a list of three professional references. a university application for employment (calstatela.edu/academic/position). three current letters of recommendation. Please email all application materials in a single PDF to: devsearchpsy@calstatela.edu. Please type “Psychology Department Tenure-Track Application” in the subject line. 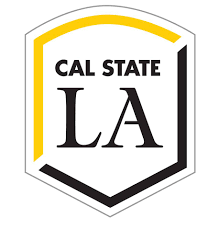 Please address all questions to the search committee chair Robert Kennison at: rkennis@calstatela.edu or 323-343-7800.